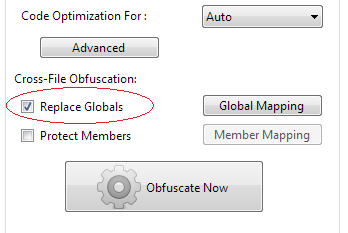 If the global identifiers be replaced, it will only keep the compability of the current file. So by default , JSO will not replace the global identifiers. If developer protect the files batchly, JSO can keep the compability with the files. If your project will not be called for third-party , all global identifiers could be renamed. But sometimes developers wish they can control the rules . 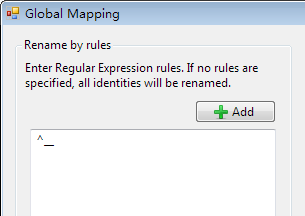 In the dialog of Global Mapping, there's two options : Rename by rules and Custom Identityes . __internalGetSetting, __loadConfig are match the RegExp ^__ , so they will be renamed. And ShowLastError does not match the rule, so ShowLastError will keep the name not replaced. The textbox of Rename by rules, is help developers to define the matched identifiers as private. And that's mean the non-matched identifiers as public , keep the origianl name for third-party. 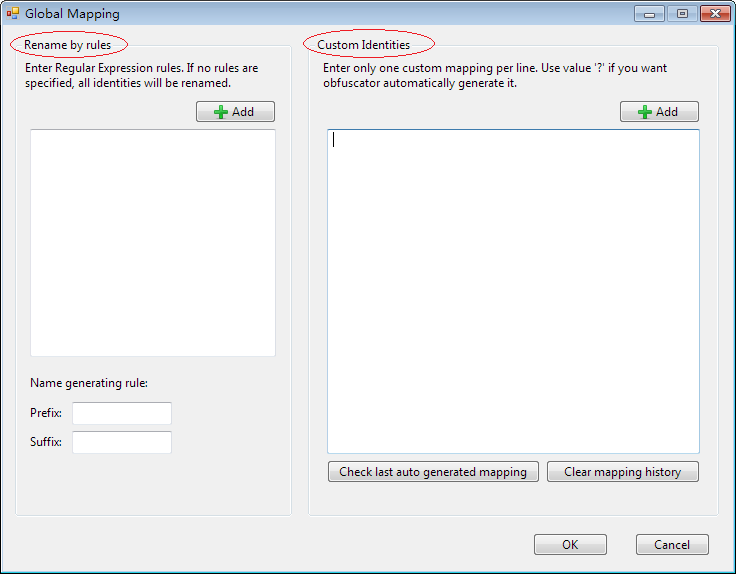 Custom Identities is a direct mapping tool to specify how to replace the identifiers. 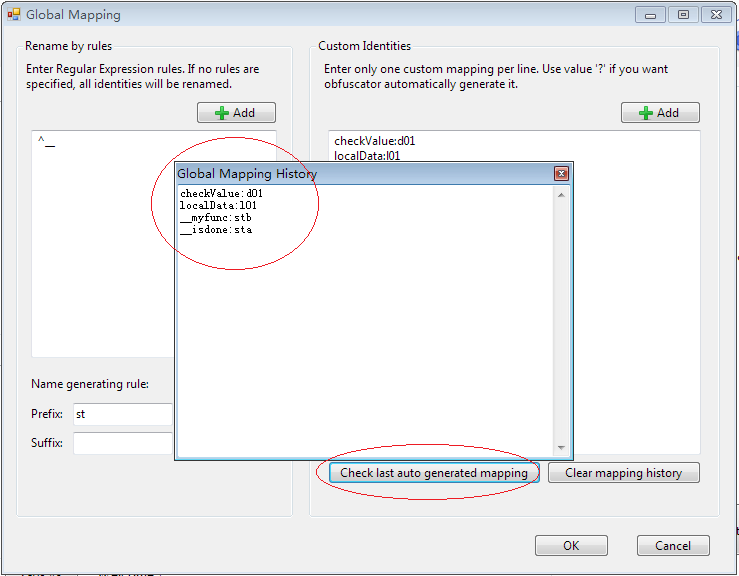 That means, all global identifiers which name is checkValue,localData will be replace as random name. Each identifiers will use the same name as the previous obfuscation does. 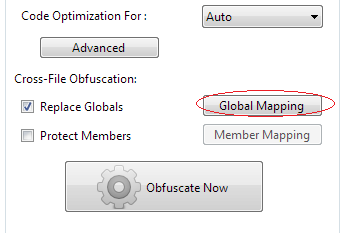 After once obfuscation, click 'Check last auto generated mapping' , you could get the mapping data. It's also a good information that can help developers know how many global identifiers the project has. Developer can collect some and type them into 'Custom Identities' if they want.